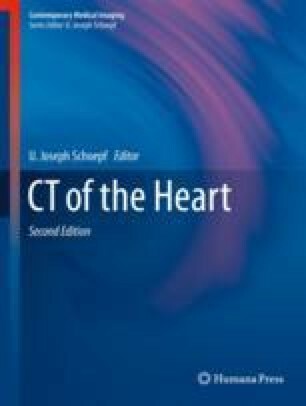 Coronary computed tomographic angiography (CCTA) as a robust noninvasive imaging modality affords accurate detection and exclusion of anatomically obstructive coronary artery disease and offers the promise of high diagnostic performance when compared to invasive coronary angiography. Recently, numerous studies have evaluated the prognostic value of CCTA for predicting major adverse cardiovascular events. This chapter sought to summarize the current status of the prognostic utility of CCTA.